I am so excited to have Mollie Hunt here at Mystery Thrillers and Romantic Suspense Reviews with a Spotlight and Giveaway. 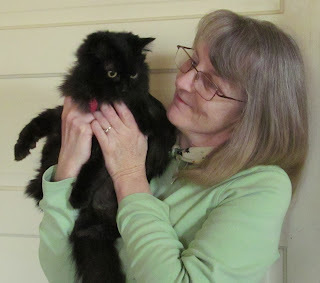 Thanks Molly and Great Escapes Virtual Book Tours for allowing me to join your Cat Cafe Blog Tour! Please take it away, Molly! 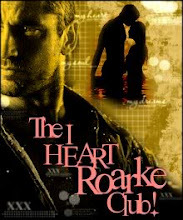 Handsome Detective Devon is looking for a link between the victims when he makes a different sort of connection — with Lynley! 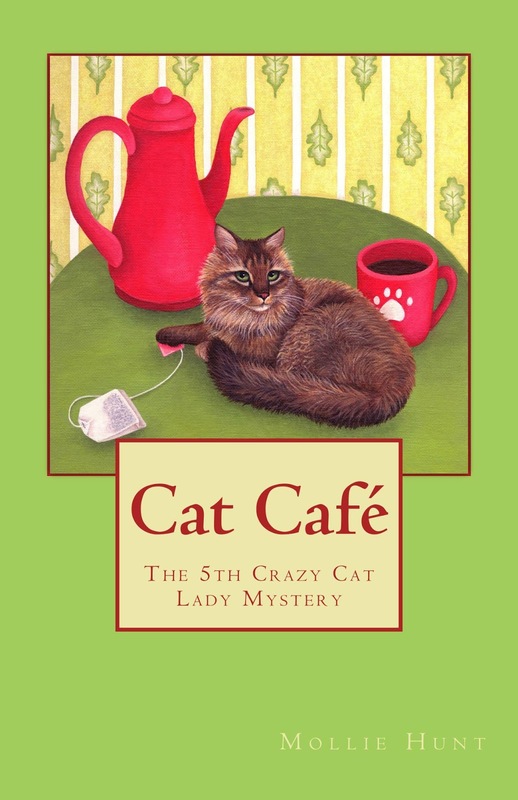 It’s been a long time since the cat lady had romance in her life, but while her mom is in danger, the case comes first. 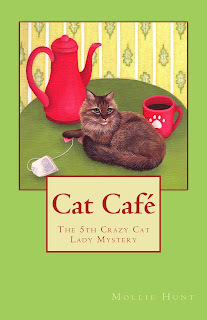 Thanks so much to Canadian blogger Mystery Thrillers and Romantic Suspense Reviews for hosting this stop on my “Cat Café” Great Escapes Virtual Book Tour! I had so much fun with the tour and am glad it got to go international!